NEW | Wills Wing Falcon 4 195 “Beach Ball” colored with speed bar. 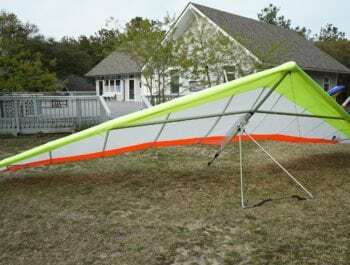 This glider lights the sky up in magnificent style. The Falcon 4 represents twenty years of cumulative refinement of the most popular and successful glider in Wills Wing’s history. 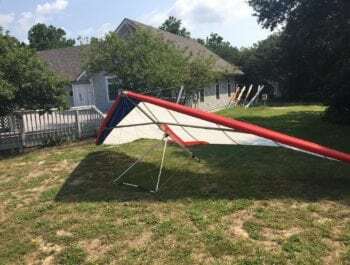 Since 1994, the Falcon series of gliders have represented the most accessible, stress-free soaring performance available in hang gliding, and have helped to introduce an entire generation of new pilots to the sport. 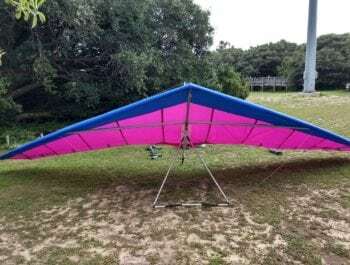 Excellent Beginner/Novice glider for a pilot with a hook-in weight of 175-275lbs.